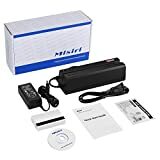 End the need for an external power adapter with this MSR605X HiCo Magnetic Card Reader Writer Encoder MSR605 MSR206 MSR606. 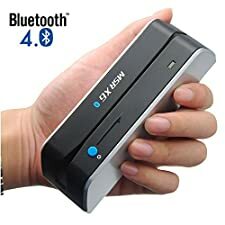 The updated version includes HID USB interface and support for MacOS. 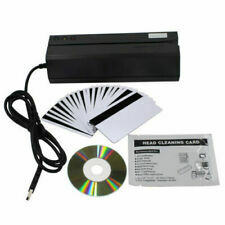 This magnetic strip card reader-writer is completely compatible with MSR206. You can use it for access control, time keeping, banking, ID recognition, credit verification and other related applications. 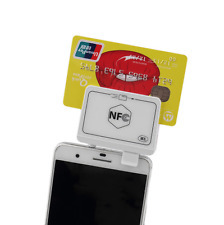 Wherever a magnetic stripe ID or transaction card is used, one can find a related use for this versatile, user-friendly device. It's designed to offer a reading and writing solution of high and/or low coercivity cards that will attractively complement an existing system. 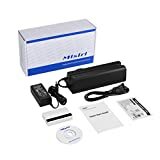 The MSR605X HiCo Magnetic Card Reader Writer Encoder MSR605 MSR206 MSR606 comes with software for both Windows OS and Mac OS, 20 blank cards and a cleaning card. Come with full-version reading writing software. Read/Write/Erase 3 Tracks (Track 1, 2 & 3), High & Low Coercivity (300~4000 Oe). 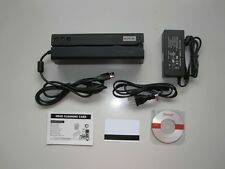 With 20 blank white cards, power adapter, software disc.. Compatible with MSR607 MSR608 MSRX9 MSRX9BT completely. 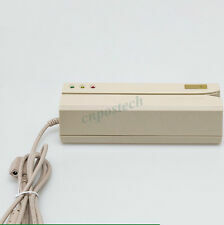 Input: 100 - 240 VAC 50/60Hz Worldwide Voltage Use Mains PSU. Please make sure the model of your device whether it is the same as the listing shows before purchasing. Products trademarked EPtech are marketed and sold exclusively by EPtech. We focus on providing quality power products and excellent customer service..
EPtech® products has a 30 day Money-Back Guarantee, and a 1-year limited warranty ! Buy with confidence!. 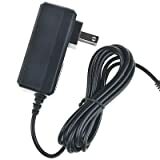 If you don't see your model here, you are very welcome to send us a email with your model or description of your product, we will find the right Power Adapter for you.. 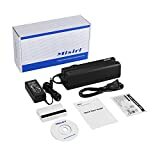 This device comes with software that enables you to record data to the card..
Edit and erase any information on the card..
Work with Windows and Mac..
100% compatible with 607 608 705 706.. Compatible with RW605 RW606 MSR607 MSR705. Works on Windows xp, 7, 8, 10, and Mac. Compatible with 605 606 607 705.